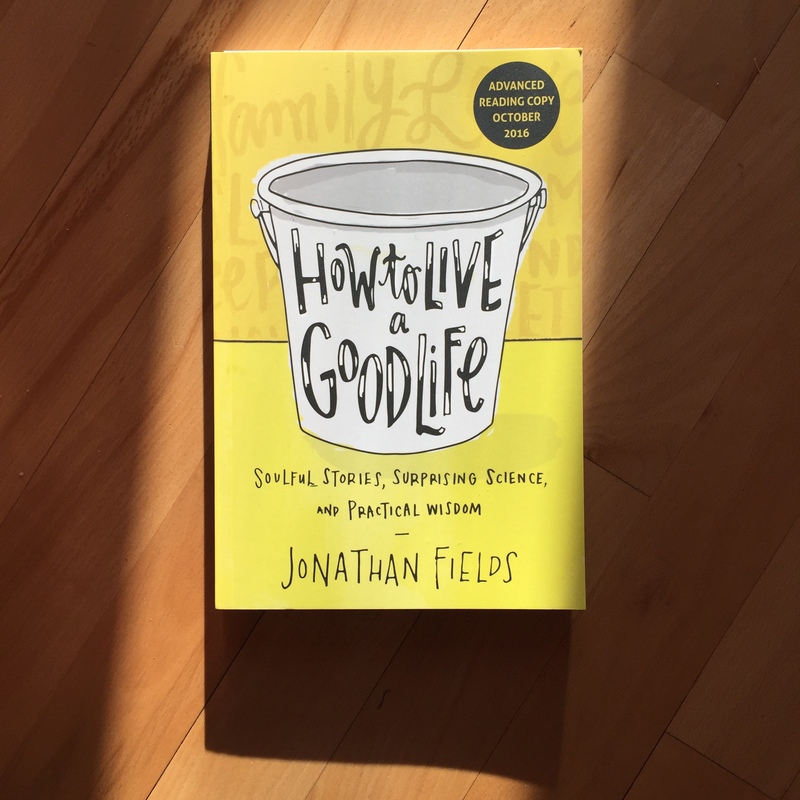 Although I’m relatively new to Jonathan Fields’ Good Life Project, it immediately resonated – deeply – with me. Think of your life as three buckets. The first bucket is called Vitality, and it’s about the state of your mind and body. The second is Connection; this one is about relationships. The third, Contribution, is about how you contribute to the world. The fuller your buckets, the better your life. When all simultaneously bubble over, life soars. That’s what we’re aiming for. But the flip side is also true. If any single bucket runs dry, you feel pain. If two go empty, a world of hurt awaits. If all three bottom out, you don’t have a life. Figuratively and, in short order, literally. A large part of this attraction to Good Life Project stems from where I’m at now in my own life, namely a deep search for personal happiness. I jumped at the recent opportunity to become a Good Life Ambassador, and I’ll be sharing what I learn here in the coming months. This is an advance copy of Jonathan’s upcoming book, but it can also be pre-ordered here. The release date is October 18th. All my buckets are low. How about retirement savings? That bucket is ok for my age. I will be looking to you as my ambassador to keep me on task with these more important buckets. Thank you for reminder.